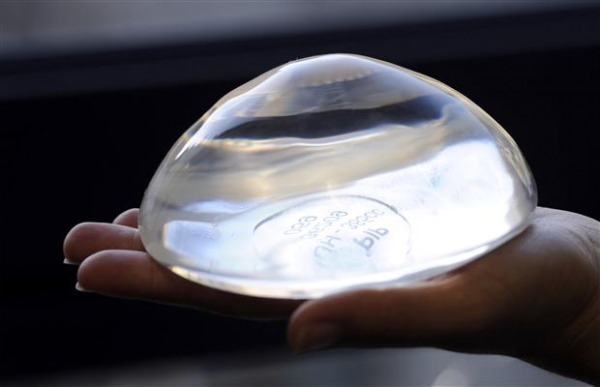 Xavier Bertrand, the French labour and health minister, called yesterday (5 December) for tighter EU regulations on medical devices in response to a global health scare over French-made breast implants. The implant scare originated in France, apparently as a result of flawed national controls. Bertrand said the EU needed to require suppliers of medical devices, including implants, to get the same sort of authorisation to sell their products as suppliers of prescription medicines. On 30 December Bertrand called for the 30,000 French women who had silicone implants manufactured by the now-defunct Poly Implant Prothèse (PIP) to have them removed. The French government also disclosed that it had recorded eight cases of cancer among women with the implants. The PIP implants were taken off the market in 2010 and the firm was closed. French investigators are looking into accusations that the company used cheaper, industrial-grade silicone intended for use in electronics, mattresses or agriculture and not approved for medical use. At the request of the French, the EU Health Security Committee – chaired by the Commission with high-level representatives nominated by ministers of health – conducted a series of teleconferences on the issue starting in late December. At the latest teleconference on Wednesday (4 January), the concerned countries asked the Commission to create a common method of evaluating the numbers of women involved and the risks, to ensure that there is no confusion caused by different approaches to the issue by member states. Frédéric Vincent, spokesman for Health Commissioner John Dalli, said that the Commission had suggested the idea of a common evaluation to the member states, and would be happy to carry it out. National authorities are responsible for approving the standards of such products for sale on the market, Vincent said. “There will be tighter measures aimed at tracing medical devices – including breast implants – in the forthcoming proposals to revise the Medical Products Directive – scheduled for publication during the first quarter of the year,” the spokesman said. In Britain – where between 40,000-50,000 women are believed to have received the implants – the government was preparing to reveal the findings of its own assessment of the risks. So far, the UK has signalled less alarm than France, finding fewer cases of rupture, no proven cancer links, and is recommending that women who have received the implants should receive a medical check up. More than 300,000 implants have been sold in 65 countries in the last 12 years. Europe was a major market, but more than half of the implants went to South America. Venezuela – like France – is offering free surgery for women to remove PIP implants. But like the UK, Bulgarian, Czech and Romanian health authorities are counselling women to get medical examinations. Around 3,300 of 'dangerous' implants have been imported into Bulgaria, of which 1,500 have been implanted, according to EURACTIV’s Bulgarian partner Dnevnik. The disparity between EU member states’ approach – and the lack of information about the number of women who have received the implants – has rattled some EU countries coping with concerns, including Denmark, Ireland, Hungary, the Netherlands, Spain and Sweden. Most countries are carrying out independent assessments of the numbers of women and risks involved in their own territories. Meanwhile concerned women with breast implants are advised to consult the surgeon who conducted the operation, or a local doctor, for advice. “Given the fact that there is uncertainty and lack of knowledge in this, we really are recommending that all [faulty] implants do come out,” said Tim Goodacre, a member of the government-commissioned panel investigating the PIP scandal, and president of the British Association of Plastic, Reconstructive and Aesthetic Surgeons (BAAPS). “We note with great concern recent press reports that the French firm PIP may have violated the regulations by using unapproved industrial-grade silicone in some of its implantable products and by allegedly falsifying or withholding documents,” said John Brennan, the director of regulatory and technical affairs at Eucomed, the European medical technology industry association. “ If these or other allegations are confirmed, we strongly condemn PIP’s behaviour and breach of trust[...] Unfortunately, however, no system can entirely guard against fraud or deliberate abuse. Eucomed supports effective measures that prevent a similar case happening in the future. The European regulations for medical devices are currently under revision and we have submitted proposals that would strengthen the current system,” Brennan concluded. The French authorities have recommended women who received Poly Implant Prothèse (PIP) have them removed, but the UK's Medicines and Healthcare Products Regulatory Agency (MHRA) has not followed suit. British officials say their data suggest the risk of rupture is 1% rather than the 3.6% estimated by the French. Breast Implants are classified as ‘medical devices’ and as such are subject to the Medical Devices Directive which classifies products – including spectacles, bandages and pacemakers – according to different risk levels. Breast implants are classified as high-risk (category three) products, which means that member states must ensure that they conform with strict safety checks. The control at national level is in the hands of member states. Companies must obtain a CE label but the checks and controls are carried out by local member states’ authorities. The way in which these checks are conducted is subject to a fraud inquiry at the moment, connected to the PIP case. The Commission will suggest tighter controls for the traceability and exchange of information between member states on these devices later this year, when it proposes a revision of the directive. Dnevnik, the EURACTIV partner in Bulgaria????????? ??????? : ???? ??????? ?????????? ?? ???????? ???????????? ???????? PIP ?? ???????? Dnevnik, the EURACTIV partner in Bulgaria???????? ?????????? ???????? ?? ????????? ? ???????? ??? ????? ?? ?